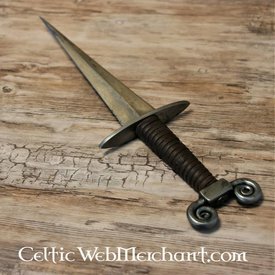 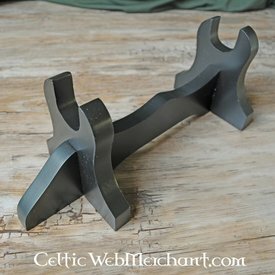 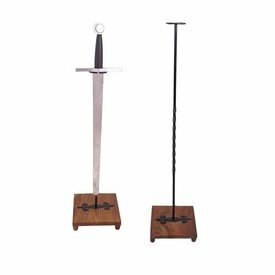 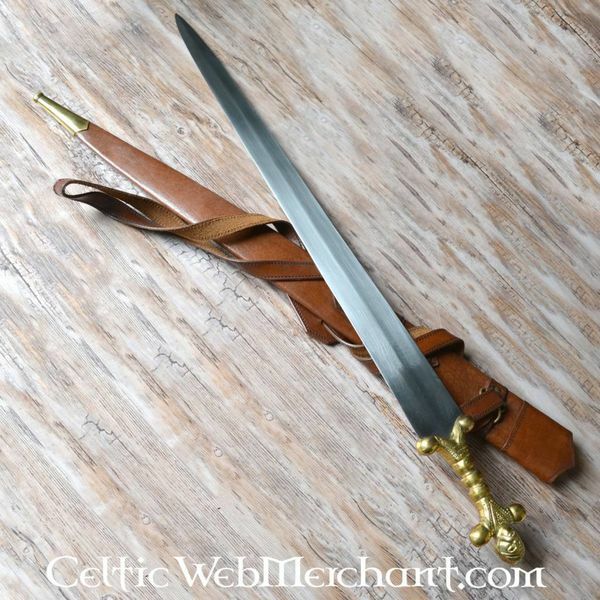 This sword is made after several Celtic originals from the La Tène period. 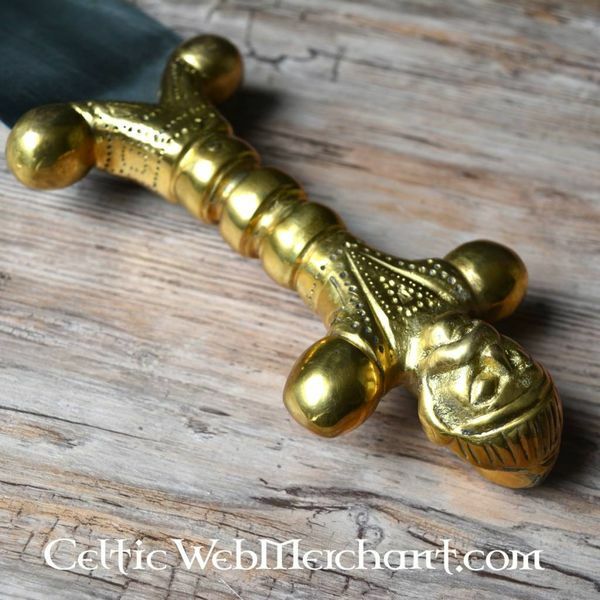 Anthropomorphic swords like this have been excavated in France, Switzerland and on the Balkans. 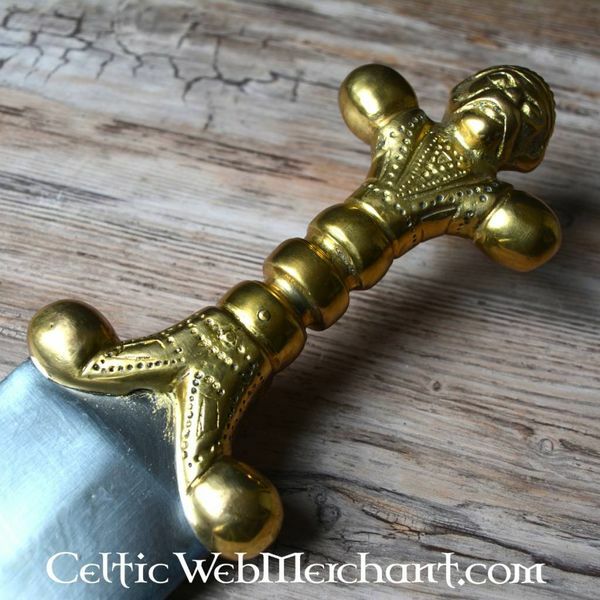 They were used all over the European continent. 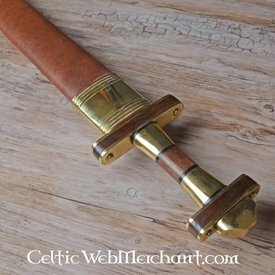 This sword has a steel blade and a brass grip. 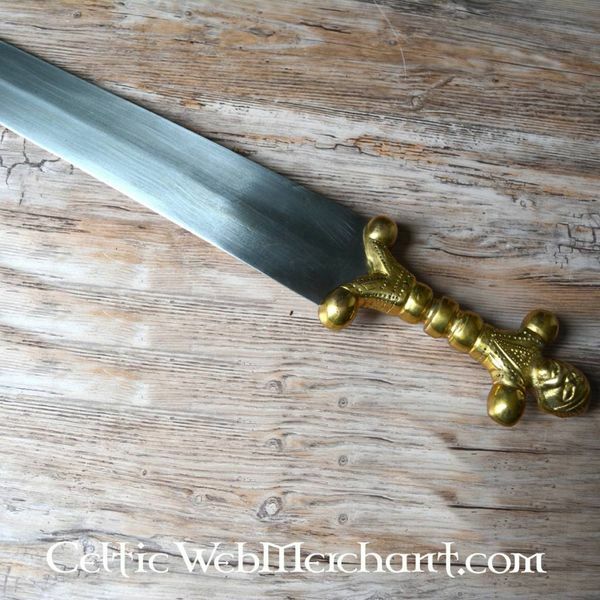 Its length is 96 cm with a blade of 79 cm and it weighs approx. 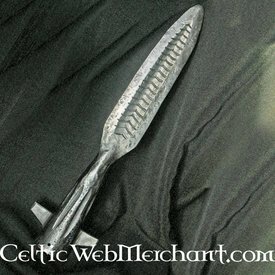 1,5 kg. 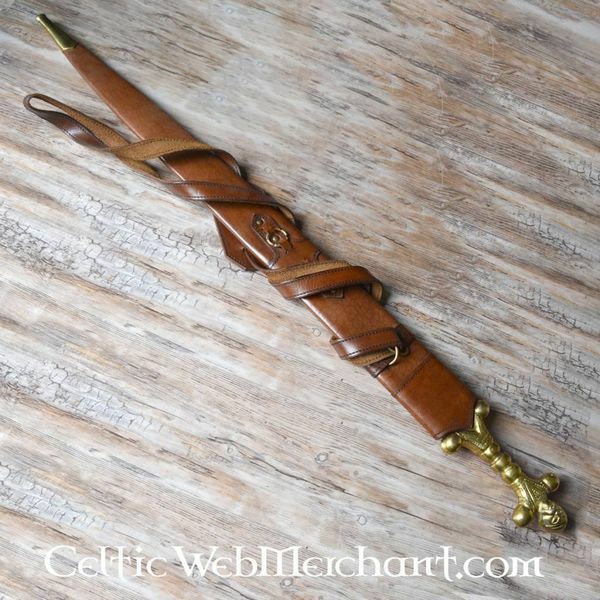 The sword is delivered including a leather scabbard. 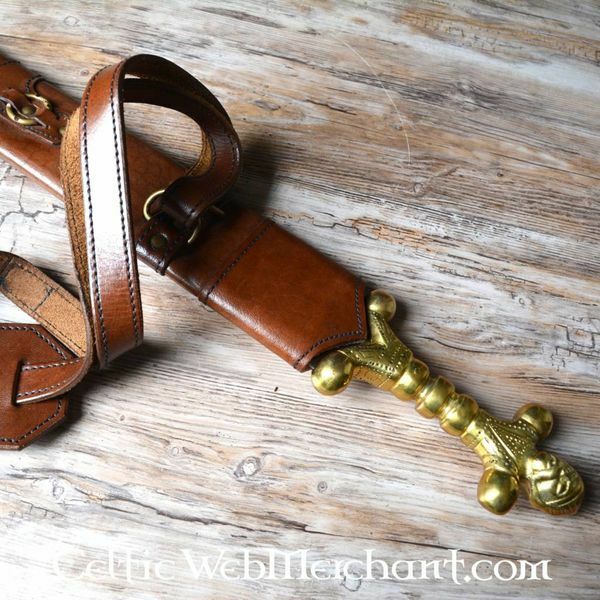 Beautifull sword with a surprisingly well made leather scabbard, you can carry the scabbard on your shoulders. 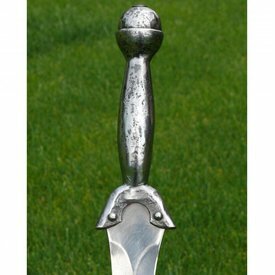 In practice this sword could be descriped as a long celtic Gladius, it's primarily a stabbing sword, most of the weight of the sword is low towards the handle, so it's definitely not a smashing sword.